Are you tired of going out on the water to catch some fish and coming up empty handed? Would you love to have a product that is going to make it easier for you to spot fish and figure out exactly where they are in the water? If that’s the case, then you’re going to want to strongly consider purchasing the HawkEye FT1PX FishTrax Portable fish finder for use on the water. The dot matrix display is going to help you easily see the screen to determine where the fish are and the sonar technology will give you the information you need such as fish and water depth. Add in the portability of this unit, and you’ll quickly realize that this is one of the better fish finders you can find. When it comes to some fish finders, the display can be incredibly hard to read and understand which just leads to more confusion when you’re out fishing. On this finder, the dot matrix display works to deliver a clear indication of what is happening in the water so you know exactly what you should be looking for when it comes to fish and water depth. Some fish finders stay permanently mounted on your boat and cannot be easily transported with you when you are on the go. When it comes to this fish finder, the small size is perfect for use but makes it easy to bring it with you wherever you go. If you don’t need it to be portable, it can also be mounted to the boat as well. 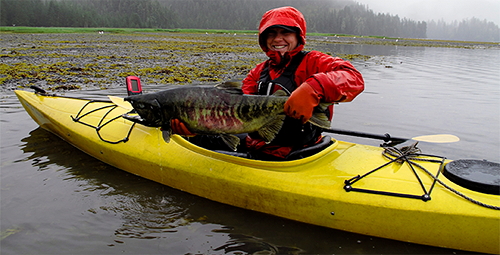 If you know a lot about fishing, then you are aware that knowing how deep the water can be a significant indicator of the amount of fish in the area and whether or not you should keep your boat there and see if anything bites. 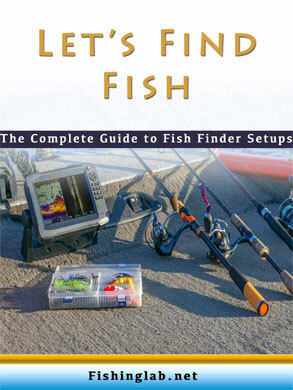 Since this finder offers the water depth, you can use the information to your advantage to help find fish. In addition to the water depth, HawkEye FT1PX FishTrax Portable Dot Matrix Fish Finder is also going to tell you where the fish are in the water. But instead of just telling you where the fish are, this fish finder is going to show you the depth of the fish in the water, so you know exactly where they are in the water without any guessing. While the water and fish depth were mentioned above, neither of those would be possible if it wasn’t for the intelligent sonar that this fish finder uses to come up with all the metrics. The dual frequency sonar helps to show some of the most important information on the screen so that you know exactly what is going on below the water and you can contribute to catching fish. Is it easy to see the size difference in the fish with this tracker? Yes! If you don’t use the fish icons, then you can see the sonar echoes that take place under the water, and you’ll be able to see how big the fish are based on that. I know it can be mounted, but does it include the mounting hardware with it? Or does it need to be bought separately? Unfortunately, it is not included with your purchase, and you will need to buy it separately. Can this be used for ice fishing instead of regular fishing? Yes it can be! However, you need to make sure you are following the proper steps for it to work the right way. Make sure you use the ice flasher mode, and you use lithium batteries instead of standard batteries. If you go fishing, then you know just how relaxing of an experience it can be and how much fun you have doing it. However, it becomes a little less fun and a lot more annoying if you aren’t catching any fish on the boat. 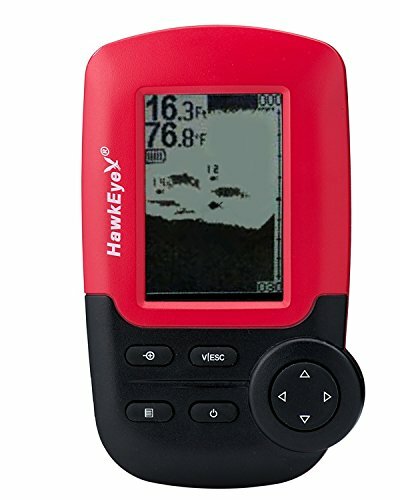 By purchasing the HawkEye FT1PX Fish Finder, you’re going to have great results every time you head out on the water to go fishing! Whether you’re going to use it for the water depth indicator or to find the fish, you’ll find that you have a much better experience when you take this tracker with you.